I saw them as soon as I pulled into the driveway, just back from my early morning appointment with the foot doc. They kept calling to me even after I hobbled into the house. So I strapped on my aircast as soon as the brief summer storm passed and gingerly made my way slightly uphill across the uneven lawn. Sun and raindrops were glistening on the clusters of plump ripe fruit, ruby gems urging me on as I picked all that I could reach without over-taxing my healing foot. 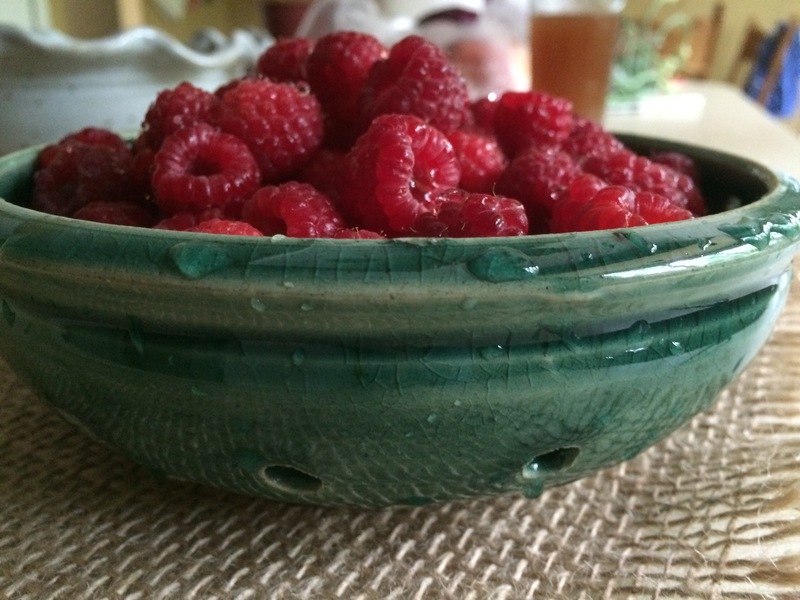 As I pulled my berry bowls out of the pottery pantry, it occurred to me that you might enjoy a little show and tell. M-204 horizontally bisects northern Michigan’s picturesque Leelanau Peninsula. Just off M-204, almost exactly mid-way between Suttons Bay and Lake Leelanua is an easy to miss driveway that ends on a lawn graced with two small shacks and a barn. To the right of the shacks, completely hidden by a stand of trees, is a house. 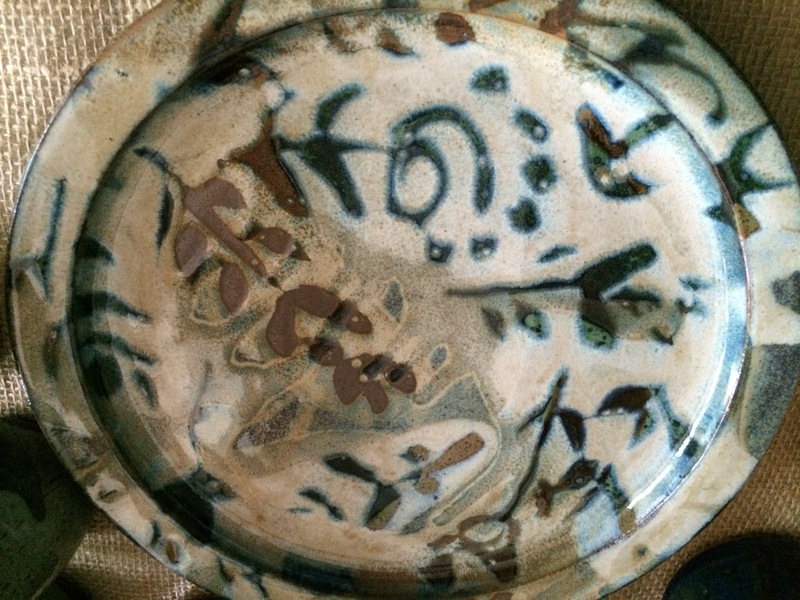 In the house lives Karl Sporck, the artist and owner of Brisling Pottery. On every trip up North, on our way to our beloved Leland and its beloved Fishtown, we pull into that beloved driveway. We pull in and no one is around. The hub and I enter the larger of the two shacks, plates, platters, bowls, cream and sugar sets, etc. line the walls. Hanging from the rafters are coffee mugs. Really cool coffee mugs. 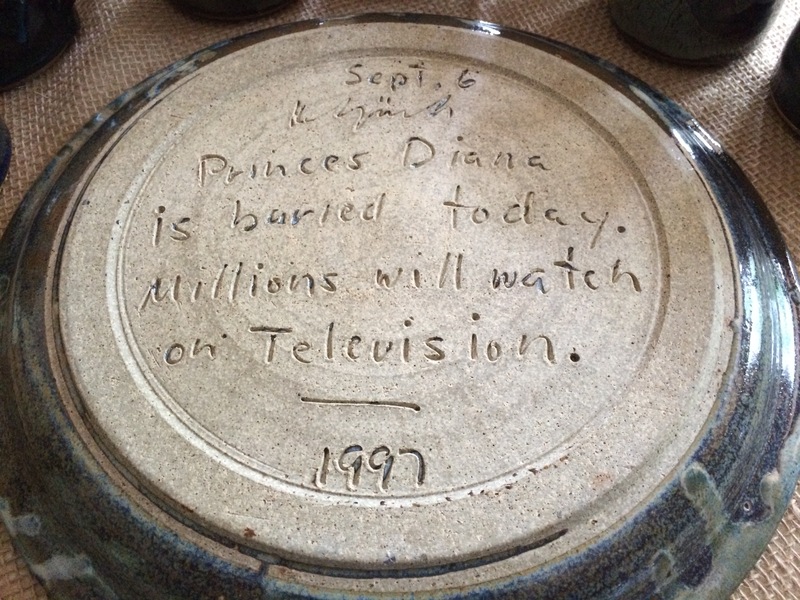 The pottery is beautiful, but it is those little inscriptions of history – those little time stamps – that keep us coming back. And then, per the instructions on the main shack’s rustic table, we add up our items, figure in the tax and leave the money in the cash box. Before leaving we take a quick peak into the smaller shack – the one that houses ceramic tiles of various sizes. Almost always Karl appears from the stand of trees just as we are getting back into our car. We chat for a few minutes and I gush over his offerings. We always leave a note with the cash, just in case, because sometimes we don’t see him at all. 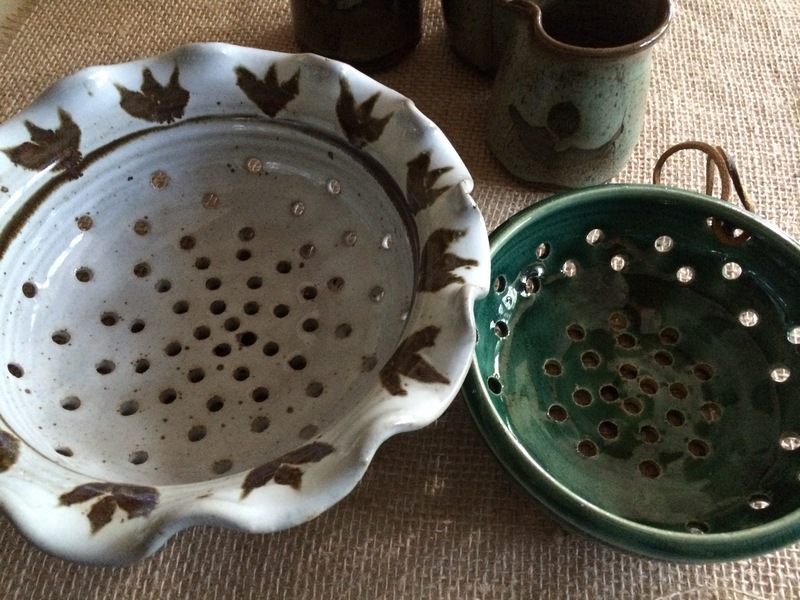 Brisling Pottery was always one of the highlights of our trips up north. And then one fateful visit, the pottery was gone! Gasp! The tile sign that used to adorn the smaller shack was moved to the entrance of the main shack. 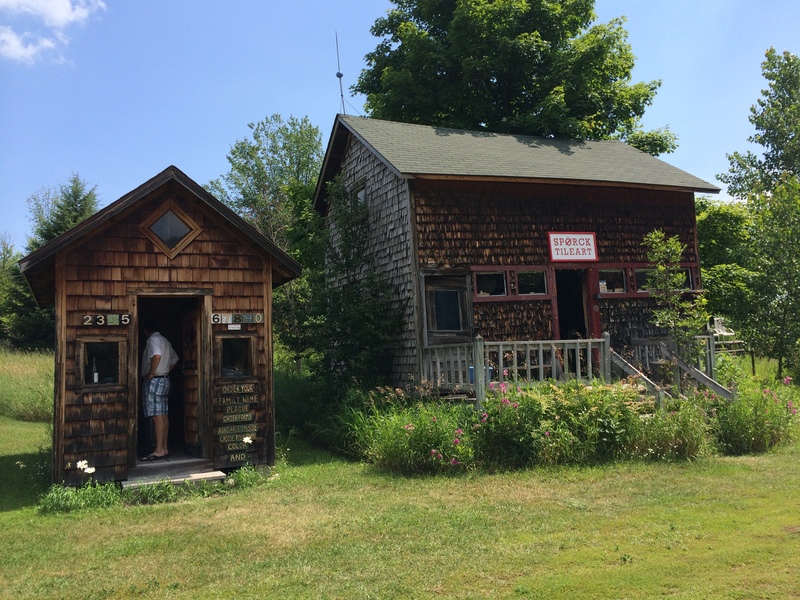 Both shacks held nothing but tiles – mostly made by Karl’s son, a few carved walking sticks and a few wooden spoons. 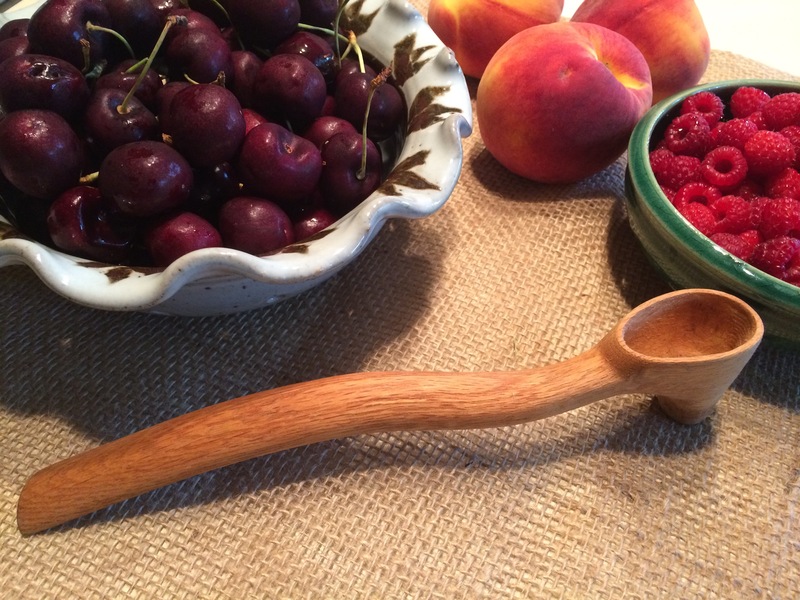 I have no idea what to do with the spoon, but I thought it looked kinda’ cool. We looked around, bought a spoon or two and then our disappointed faces met with Karl’s outside. 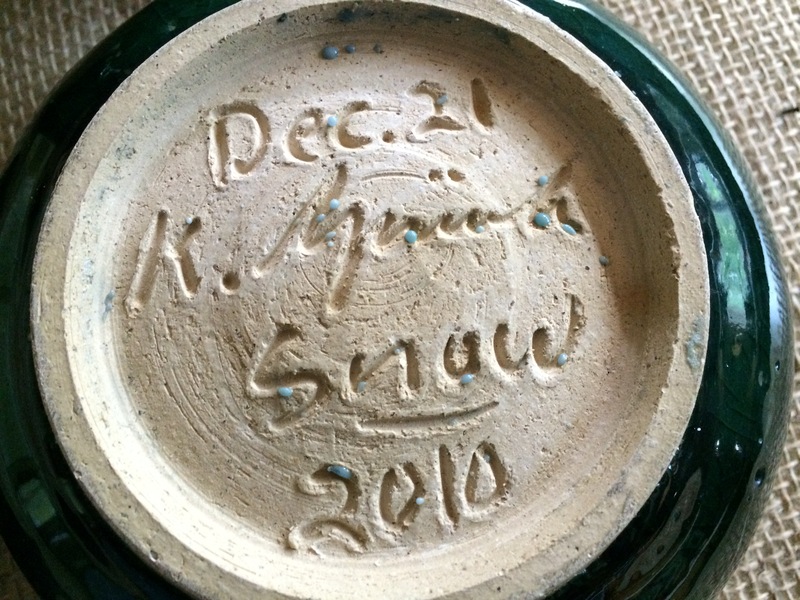 Too many years bent over his pottery wheel had damaged his back. 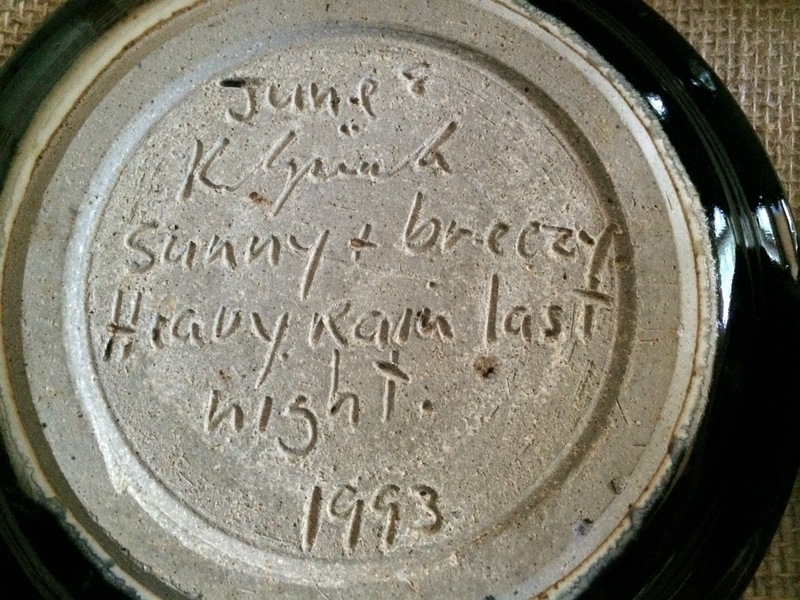 Last summer we stopped in, just to pay homage, and we were amazed to find a sparse selection of pottery pieces. Karl’s back was feeling better and he was back at the wheel! I snatched up four small bowls. Our June trip up north was canceled after I fell and broke my foot, but we are hoping to get up there in August. And I’m hoping that Karl will be there, and that he will still have a few pieces left. 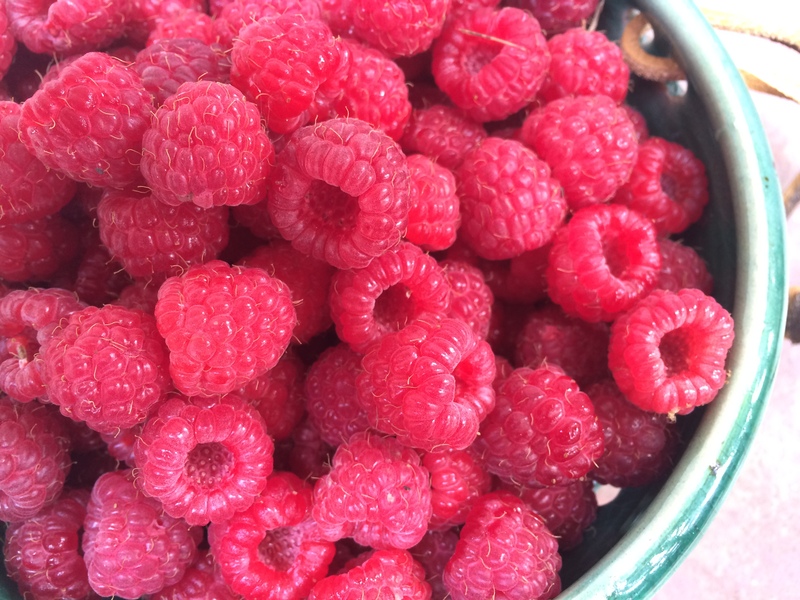 In the meantime, raspberries and ice cream for dessert.